1. 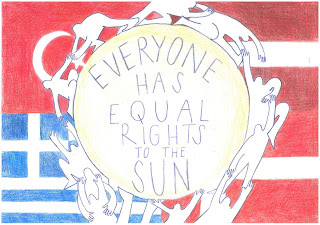 Equality – everyone can take part in politics, despite their gender, religion etc. 2. Involvement - democracy makes everyone feel important and heard; each person has the opportunity to vote, participate in politics and making decisions. 3. Shared power - it doesn’t give power to only one person or lot, but there are a lot of people responsible for our future, including us. 1. It’s hard to make unpopular decisions for saving country, even if there is no other way of doing things, because there is a chance of not getting enough support. 2. Shared responsibility is irresponsibility, so if people loses trust in politics, it’s hard to make them vote and care again. 3. There is a high risk of corruption. And if the youngsters are not educated about politics – it’s easy to buy votes from them in some elections.